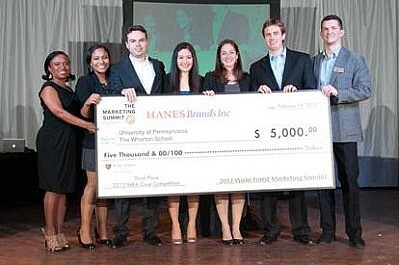 A MUSE team took First Place in the SABRE Business Simulation Competition, besting twenty-nine other schools. Three students took First Place in the Student Research Poster Competition. Santiago Pereira won the Diversity Leadership Award out of 100s of nominations. The Wharton UG team won FIRST PLACE in the AMA Vitaminwater case competition in New Orleans.Teams from 85 schools competed this year. This is the tenth straight year in the finals, and the sixth time a Wharton team has placed first. In addition, MUSE was named an AMA Platinum Chapter for the second straight year. Only three schools out of the 350 AMA chapters currently hold this honor. 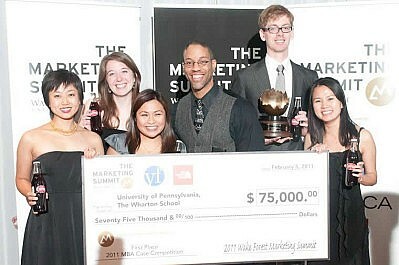 The Wharton UG team wins FIRST PLACE at the 22nd Annual Marketing Summit at Wake Forest University. 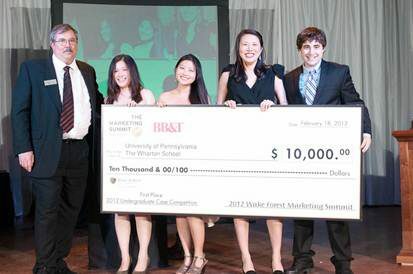 The Wharton MBA team wins THIRD PLACE at the 22nd Annual Marketing Summit. 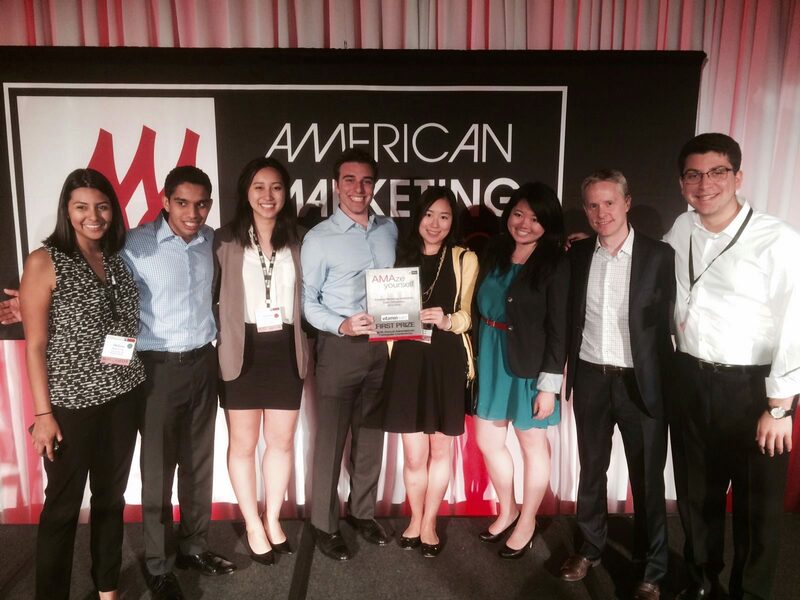 The Wharton MBA team collects the “Cheerwine Cup” at the 21st Annual Marketing Summit. For an unprecedented fourth year in a row,members of the Marketing Undergraduate Students Establishment (MUSE) have won the American Marketing Association’s Case Competition, which was held in New Orleans from March 25-28. 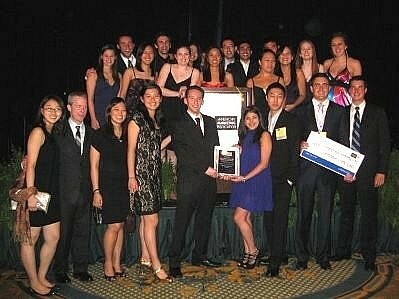 In addition, the chapter received the Superior Chapter Award which is awarded to the top four chapters in the AMA. MUSE members Nicolas Aguirre and Stephanie Wheeler took second place in the Northwestern Mutual Sales Competition. Lillian Chou received a 3rd place award for excellence in the chapter Website Competition. For more details about the competition, and to view the award winning site, MUSE. MUSE is the official Penn collegiate chapter of the AMA. For the third year in a row, members of the Marketing Undergraduate Students Establishment (MUSE) have won the American Marketing Association’s Case Competition. 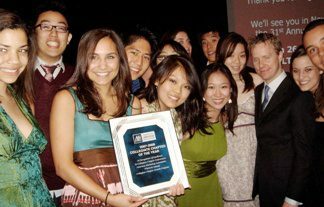 The group also took top honors as the Collegiate Chapter of the Year. In addition, MUSE members Jesse Beyroutey and Alanna Hall took third in the Northwestern Mutual Sales Competition.